Now that St. Patrick's Day is over, it's time to focus on the next excuse for making crafts and decorating. Bring spring and Easter into any room with these cute rabbits made of wood rounds, which you can find in craft stores or cut yourself from dried logs. You may make them as big as you like, but smaller ones tend to accent decor rather than overwhelm it. Crafters will need sisal rope, which you can find in hardware stores. If you can't locate it, twist together several strands of raffia or other stiff material that can stand up on its own, unless you want a floppy eared bunny. 1. Squirt a dab of black paint into one of the bowls. Paint two small circles where you want the eyes to be. 2. Squirt a dab each of white and pink paint into the other bowl. Blend the paint. Paint a small triangle with rounded edges where you want the nose to be. 3. 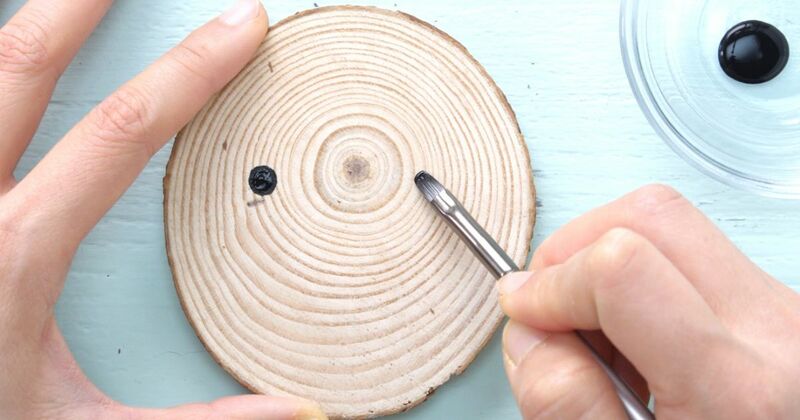 Using the black paint, paint a short vertical line from the center bottom of the nose. Draw a shallow curve outward in each direction from the end of that line. The mouth should look like a ship's anchor. 4. Cut two rope pieces, each 6 to 8 inches long. 5. Dab hot glue onto each end of one piece. Bend the fiber into an oval shape with the two ends 1/2 inch from each other. Press the two ends on top of the wood round where you want an ear to be. Repeat this step for the other ear. 6. Make a small bow with the ribbon. Glue the bow to the face of the wood round between the ears. Let the glue dry before setting the bunny face on a shelf.